The Head Liquidmetal racquets are quite popular on the market. They are loved by many players because of the sweet features and performance. In this article, we will take a look at two popular models often used by beginners and intermediate players, which are Head Liquidmetal 4 and Head Liquidmetal 8. 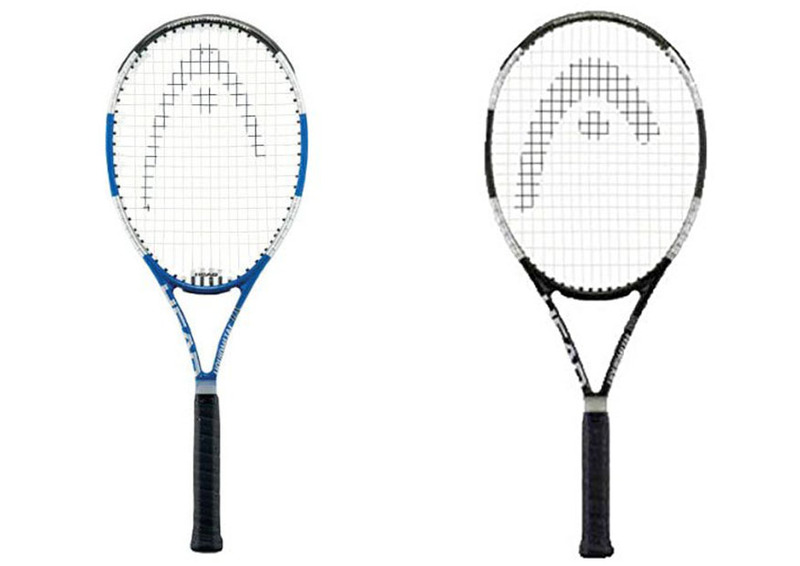 Despite the similarities, though, these two racquets have big differences in terms of power, control, and ease of use. Continue reading below for the detailed comparisons between Head Liquidmetal 4 vs 8! 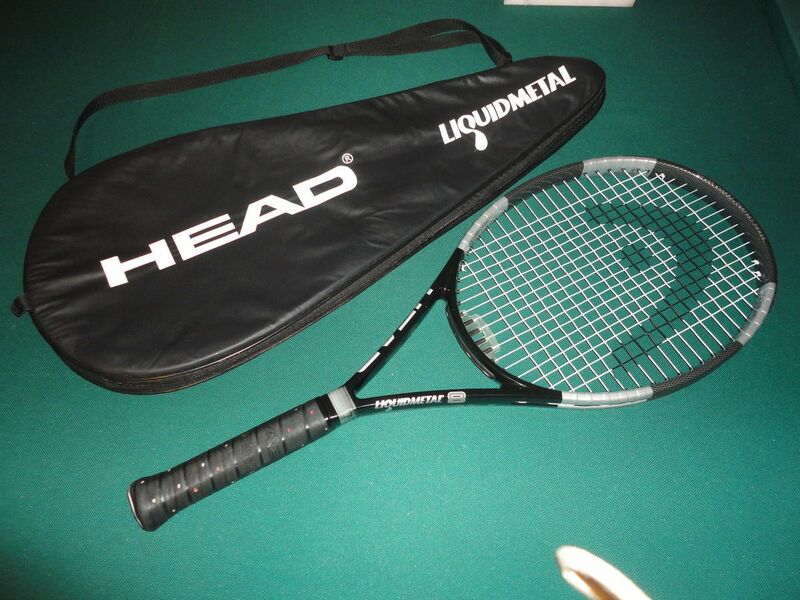 The first and perhaps the most obvious difference between Head Liquidmetal 4 vs 8 is the size of the head.Head Liquidmetal 4 is a midplus racquet, and hence it comes with a medium head size of 102 square inches. It has a similar length as the sibling, which is 27.25 inches. It is a little bit heavier at 303 grams (10.7 oz). The beam is slightly narrower at 25 mm. Both of these two racquets feature the Liquidmetal Titanium / Graphite construction with Piezzo Electric Fibers. They are both solid and rugged. They can withstand impacts and usage abuse well. In addition, they also use the HydroSorb grips, which feel solid and very comfortable. These sophisticated grips ensure that you can hold your racquet without slipping in any condition, even if your hands are sweating hard. However, Head Liquidmetal 4 vs 8 have different string patterns. Well, they both have the 16 mains / 19 crosses string pattern, but Head Liquidmetal 4 has a two-piece design with mains skips on 7T, 9T, and 8H. The string tension is between 52 – 62 pounds. A two-piece string pattern is generally stronger and more durable than the one-piece string pattern. A racquet’s strongest point is the yoke, and a two-piece string pattern usually weaves the cross strings in the direction to the yoke. This design directs the stress to the stronger part of the frame, minimizing the risk of frame distortion. On the other hand, Head Liquidmetal 8 has a one-piece design with mains skips on 8T, 8H and a string tension of 54 – 64 pounds. As mentioned above, a one-piece design is somewhat less durable. It is also more likely to cause frame distortion, especially with a higher string tension. Head Liquidmetal 4 is a great tweener racquet. It manages to combine the characteristics of a game improvement racquet and a professional racquet, and as the effect it becomes a versatile weapon suitable for players of all skill levels. It is quite easy and comfortable to use, thanks to the lightweight design, decent power, and very good control. It has a balanced design that won’t put too much strain on the arm. However, an advanced player with slower swing speeds may prefer to have more weight in the racquet in order to deliver heavy hits. On the other hand, Head Liquidmetal 8 is more of a game improvement racquet. It is very easy and comfortable to use. It has a lightweight design which makes it easy to swing around. In addition, most of its weight is on the head, and as the effect it can deliver heavy hits without causing much strain on the arm. Beginners will find it comfortable and effective. The Liquidmetal technology implemented in both of these racquets is designed to maximize the power output and energy return. It can help you deliver powerful shots and smashes with less vigorous efforts. However, Head Liquidmetal 4 has more balance of power and control, with moderate-fast swing speed. It has a higher swing weight of 335 and a stiffness rating of 67. Compared to its sibling, Head Liquidmetal 4 is not as powerful. But it allows you to control your shots more precisely with better techniques. The good balance of power and control makes it very useful for experienced players. On the other hand, Head Liquidmetal 8 is more power-oriented. Note that, although the overall mass is lighter, most of the mass is put on the head. The heavy head makes the swing speed moderate. It has a swing weight of 328 and a stiffness rating of 62. The oversized head, wider beam, and crazy amount of power make this racquet suitable for beginners. It will give a strong punch on each hit. However, it offers little control over your shots. Finally, the differences between Head Liquidmetal 4 vs 8 come down to the suitable skill levels. In general, Head Liquidmetal 4 is a tweener racquet that is suitable for beginners and intermediate players. This racquet will allow you to play comfortably and confidently while honing your skills and techniques. The increased control is especially beneficial for experienced players for controlling the game. However, heavy hitters may want to look for a heavier head to deliver heavy blows. On the other hand, Head Liquidmetal 8 is a good choice for beginners. It is a game improvement racquet that will allow you to play with great power without much effort. However, this racquet is not recommended for advanced players because the great power and large sweet spot will make you depend on it rather than developing the right techniques. If you are looking for a beginner-friendly racquet, Head Liquidmetal 8 is a good choice. 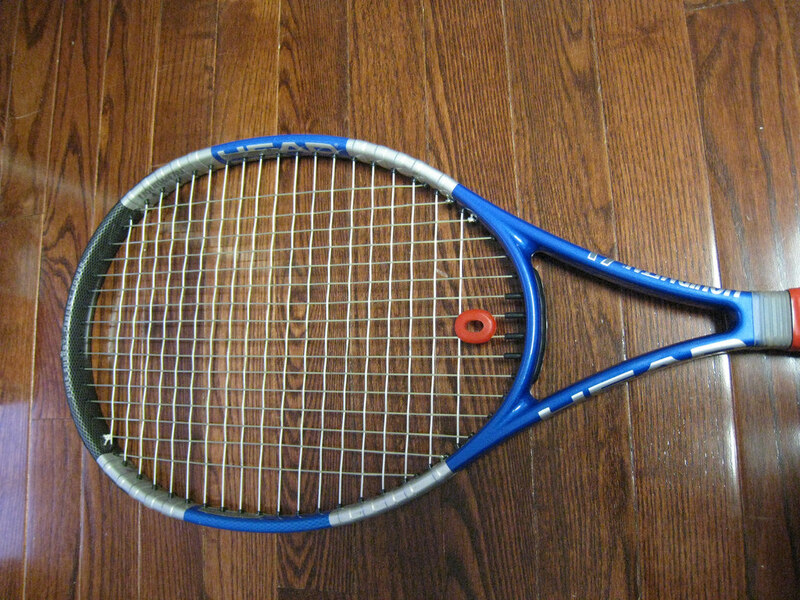 This racquet has great power, and it is very comfortable to use. The heavy head will allow you to deliver strong hits easily. However, a serious player should choose Head Liquidmetal 4. It has a good balance of power and control, and it will allow you to hone your techniques rather than relying on your racquet. In addition, it also has better build quality and durability.